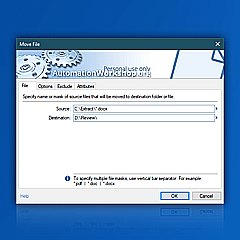 Move file · effectively relocates files from the specified path to the destination folder. 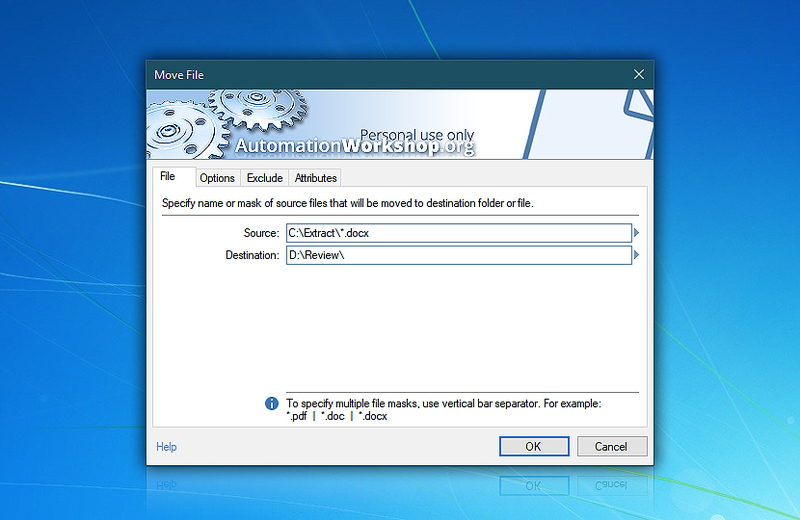 If necessary, whole subfolder trees can be moved. 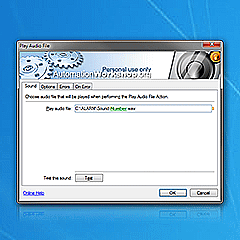 The user can choose whether to overwrite existing files in the destination folder and on what conditions. Date and attribute filters allow excluding files based on their name, type, age and attributes. Automation Workshop provides just the functionality to facilitate my everyday work. —Lee S.